Vroom! Vroom Vroom! Vroom Vroom Vroom! Vroom Vroom Vroom Vroom! Vroom Vroom Vroom Vroom Vroom! Acer has been churning out Ferrari machines for a while now, and you'll note that it's mostly always a similar pattern and design. 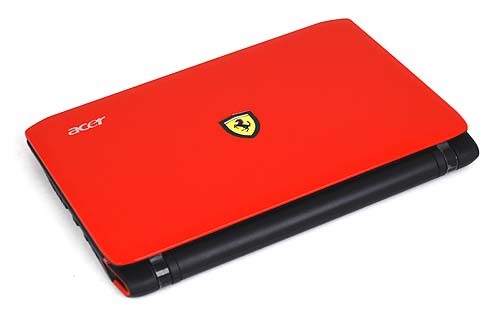 From the bright red exterior to the prominent Ferrari badge, to the AMD based interior, these notebooks have always been about the spirit and excitement of the Formula One races. This time around however, Acer has opted not to go for the standard notebook build and has instead picked a netbook-like machine while utilizing AMD's Congo platform for the machine. This translates to an interesting design choice, as you'll note that AMD's Congo platform is designed for ultrathin and light machines and features much better performance compared to the usual Intel Atom netbook. 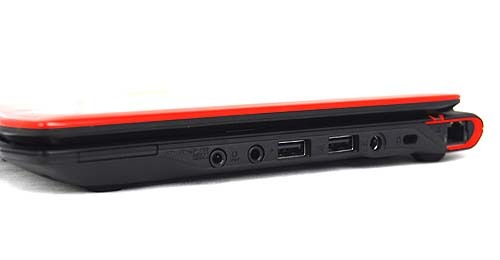 With Congo, AMD brings true dual-core processing to the game in the form of the Athlon Neo X2 processor. This should raise the performance levels of this class of machines a fair bit. It will also be interesting to see how the performance numbers add during the benchmarking phase, and we'll find out more soon enough. 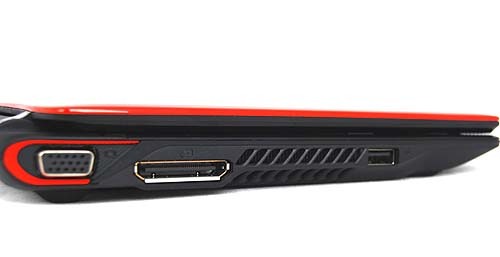 Now, to be fair, the Acer Ferrari One isn't your typical netbook either with its 11.6-inch screen and it does pack a much heftier punch in terms of graphics compared to a normal Intel Atom netbook, so expect this unit to be able to do some light gaming, similar to netbooks equipped with NVIDIA's Ion platform. 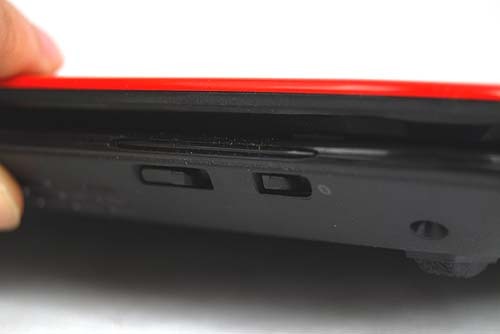 But as usual, before we dive deeper into the technical stuff, let's take a closer look at the gorgeous exterior of this high-performance netbook.